Being a photographer is one of the most demanding jobs in the market. In fact, entities that hire photographers to cover events, celebrations, and studio shoots are at an all-time high. But due to high demand, the competition can get pretty stiff as well. Extending your services to a target audience can be quite daunting, especially with the limited amount of resources available. While online advertising is an option that’s open for use, it’s not enough to build a strong marketing impact. This is why most companies seek standard marketing tools as part of their marketing strategy. Think about it. What is one marketing device that allows efficient yet effective dissemination? Surely, a good flyer design must have come to mind. Not only are flyers straightforward and easy to read, but they are also extremely simple to produce. 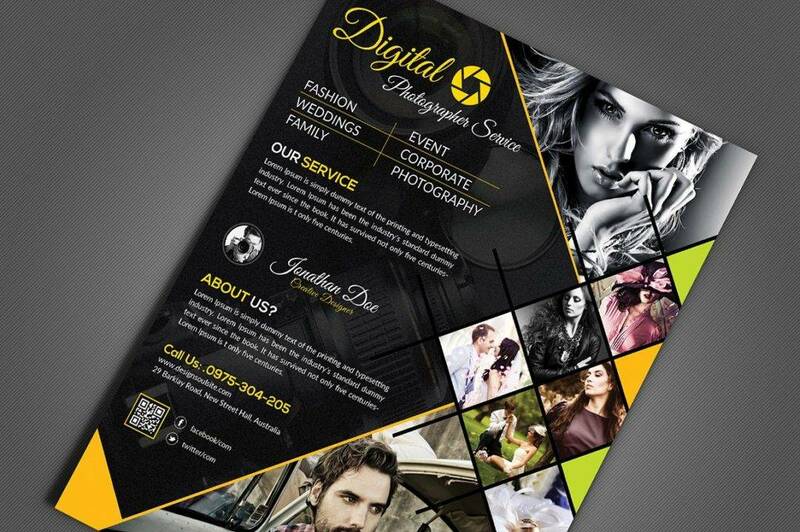 Any smart entrepreneur would know that an impactful flyer design is an essential ingredient towards marketing success. Technology and innovation have advanced various processes that make up our everyday lives. While we may not have reached the point of teleportation and flying cars just yet, it’s hard to deny how the development of technology has helped improve our means of brand marketing. But you must be wondering, with the presence of digital marketing, do the conventional methods of advertising still matter? If you take a look around you, you’ll notice the wide use of advertising brochures, event posters, and multipurpose flyers amidst the existence of social media marketing and web advertising. You see, there’s a good reason why marketers opt to take the traditional approach along with a modern one. 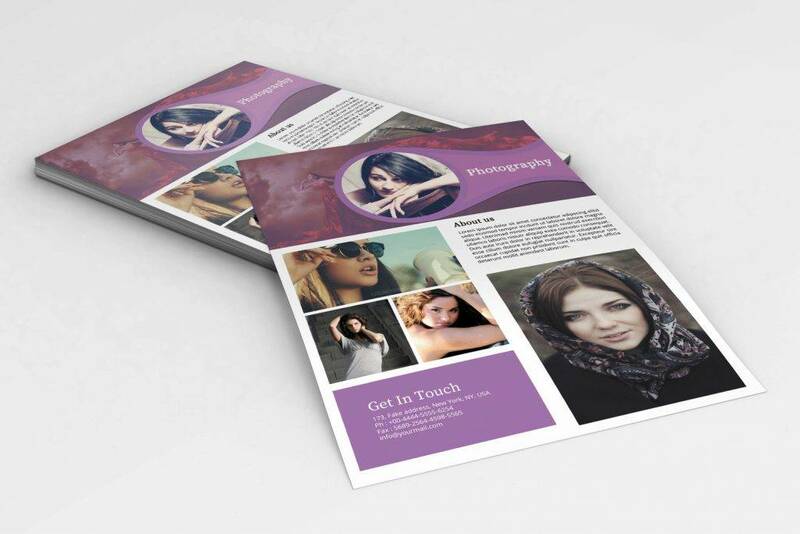 With flyers being one of the least expensive forms of advertising, it has become a common choice for most companies. Mass printing of these flyers would mean a lower cost of production, as a majority of the printing firms in the industry offer a lower price for bulk orders. This allows businesses to reach out to a wider audience by distributing these flyers by hand or through direct mail. Face-to-face encounters also encourage interaction, where marketers are able to address questions and inquiries that prospects may have. This creates a personal connection that advertisers may benefit from. 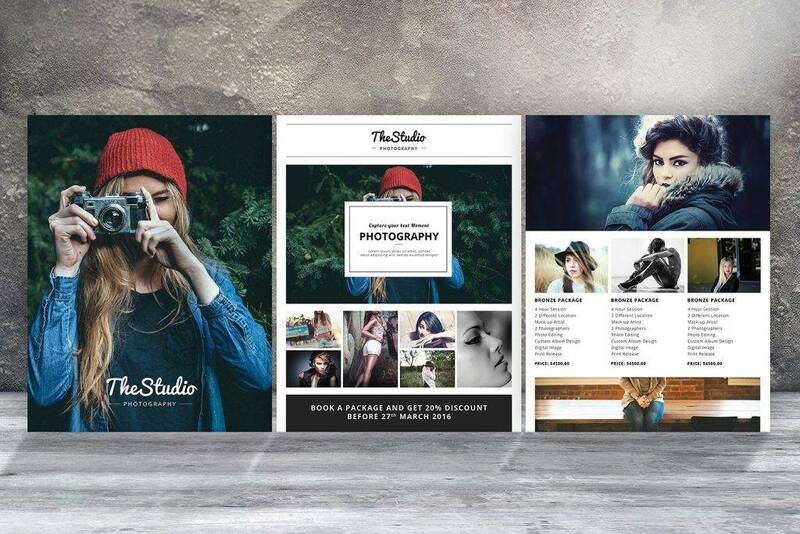 Another reason why a flyer is a beneficial promotional device is that it allows you to be creative. Creativity leaves a huge impact on the market. 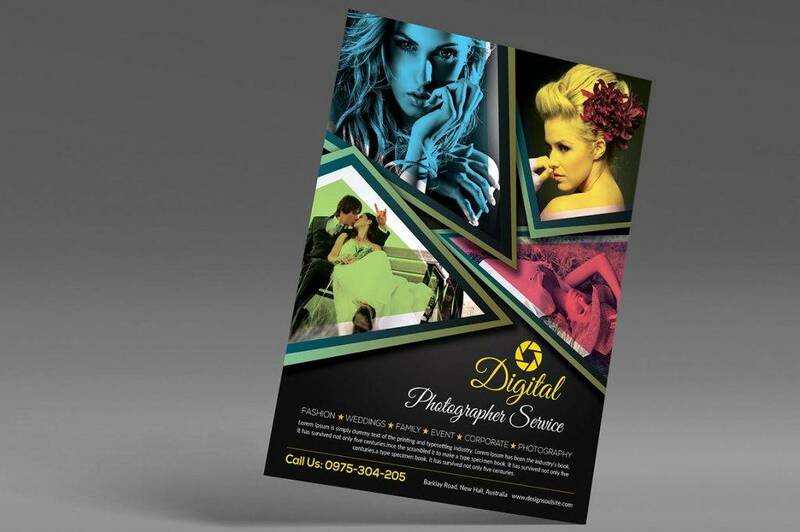 You can design your flyers in ways that are relevant to your purpose yet relatable to your audience. This can help you stand out from competitors and potentially garner a higher response rate from customers. A timeless flyer design is also memorable enough for your message to stick to a person’s mind. 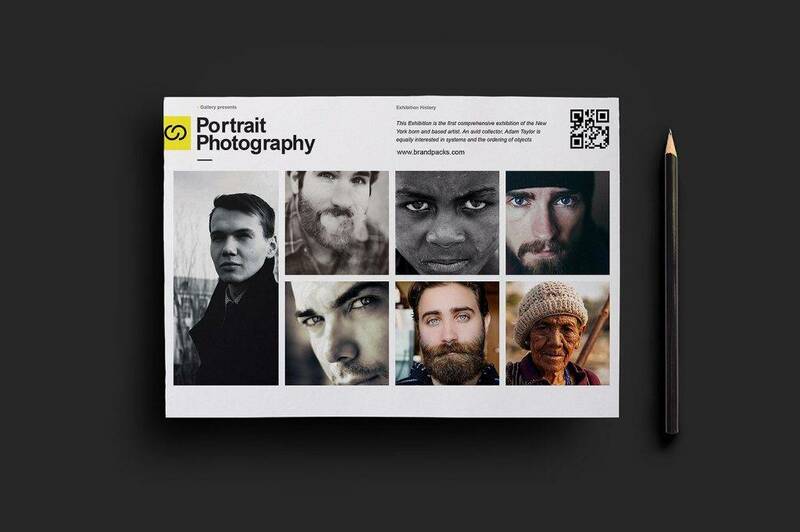 Incorporating contemporary approaches to these old-school flyers through QR codes and gift certificates is also a great way to make a flyer worth keeping. Not only are you able to effectively carry your message across, but you’re also left with a good supply of flyers that will never go out of style. 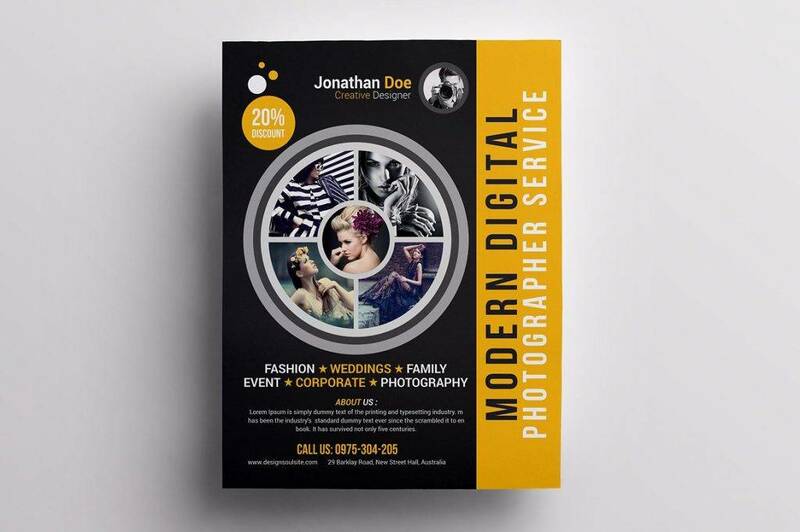 Even if you’re left with no other choice, never opt for a blurry or grainy snap to grace your flyer. Low-quality images will only give you unwanted attention. This sends out the wrong message, often giving your business a negative impression. If conducting photo shoots go beyond your marketing budget, then you could always use stock photos instead. But be wary of the images you use from the internet, as copyright infringement is bound to land you in hot waters. It’s important to choose crisp and clear images that tell a story of how customers may benefit from your goods and services. Surprisingly, some designers fail to recognize the importance of text visibility on a flyer design. Apart from being too small in size for the naked eye to comprehend, using font styles and colors that are hard to read is a design mistake you need to avoid. Texts that are crammed up in a single line may also look bad in print. It’s not a good idea to use multiple font styles on a flyer, either. Good typography is a significant element to take note of since a flyer with an unreadable message is as good as nothing. For one thing, you don’t want to end up wasting your resources on a flyer with multiple grammatical errors. Business flyers are seen to be a professional reading material, but this can all change even with just a minor spelling mistake. Naturally, a terrible impression caused by a spelling or grammar error won’t do you any favors. So check everything, and when you’re done, check again. Do whatever is necessary to make sure your flyer is as perfect as possible. Keep in mind that a good flyer design does not need to have every single space filled. Using one too many images, fonts, words, and colors will do nothing but overcrowd the flyer’s layout. This would make it difficult for readers to focus on the central message being conveyed. You don’t want to make it difficult for customers to locate specific information due to the flyer’s cramped layout, right? This makes people care less about your flyer as well, considering how there’s nothing to keep their attention focused on. If you must, following the principles of a minimal flyer design would be your best option. Who. Where. When. — These are the general questions that your flyer must answer. 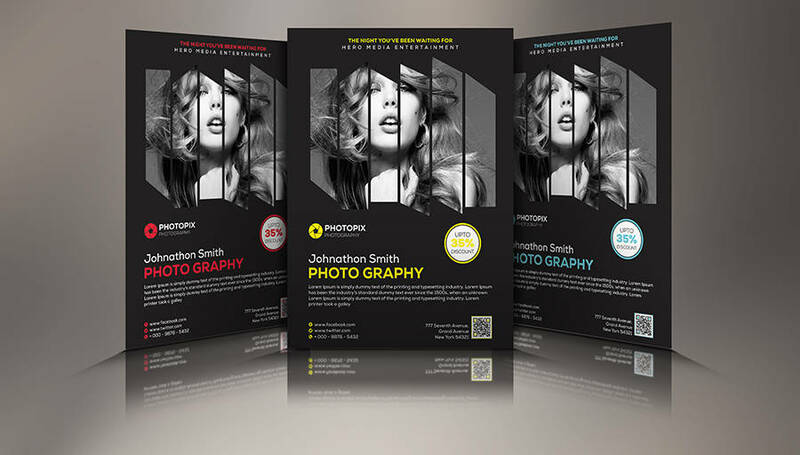 The likes of what and how may also be explained, but this is usually achieved through the flyer’s overall design. Although it may be necessary to include additional details that support the purpose of your flyer, keep it at that. Anything that is not as equally important to your message should not be included, especially if it is something that is not of interest to your customers. Otherwise, you may just end up feeding your audience with useless content. Embrace the power of color. Bold, vibrant colors may seem like an obvious selection, but it may not always be applicable. Your color palette of choice must be a reflection of the overall essence of the flyer. Not only should it add to the aesthetics of your design, but it must also send a message regarding your brand and purpose. Color psychology is also another trick to consider if you want to reach optimum impact. Choose light and dark hues that complement one another and make sure your text remains visible amidst the mix of colors. Maintain visual balance. To avoid a cluttered layout, adjust the placement of your text and graphics components. Make sure there is enough white space in between each element to maintain a clear and balanced look. You may even follow a grid system or the rule of thirds to achieve a visually pleasing outcome. An excellent way to communicate effectively while still possessing a minimal content is to group each element into a logical arrangement as well. This would mean creating a visual hierarchy of information that is essential for your audience. Use simple language. Avoid using terms that are in favor of a specific group. For instance, you could be creating a dental flyer to attract customers in need of dental services. If you mention anything too specific or complex for the average person to understand, then this may cause confusion. It’s important to use statements that may be understood by the vast majority to develop clarity in delivering a message. Don’t forget to add a border. Borders are helpful in framing the content of a flyer. This will come in handy in terms of printing to prevent important details from being cut out of the mainframe. It serves as a guide for you to follow and must remain invisible in the printed outputs. But when designing your layout, you must also consider a full bleed. This means going beyond the borders to make sure the design extends all the way to the edge of the flyer. 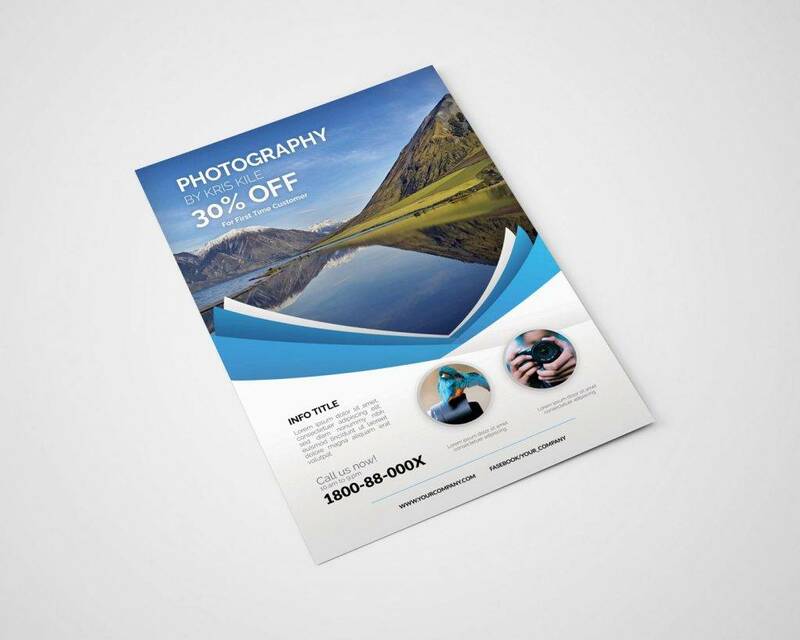 This technique prevents white borders from appearing around your flyer design. The font style, size, and color matter. 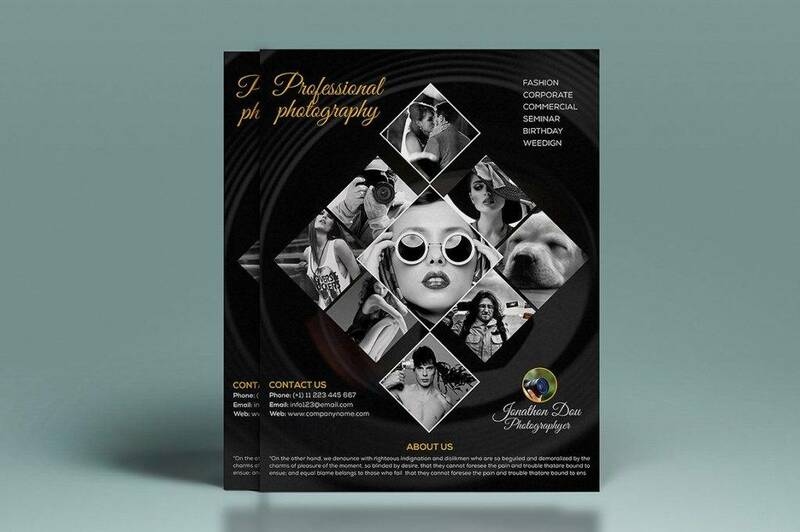 Every single design element plays a vital role in your flyer. For starters, these components serve as a representation of your brand. 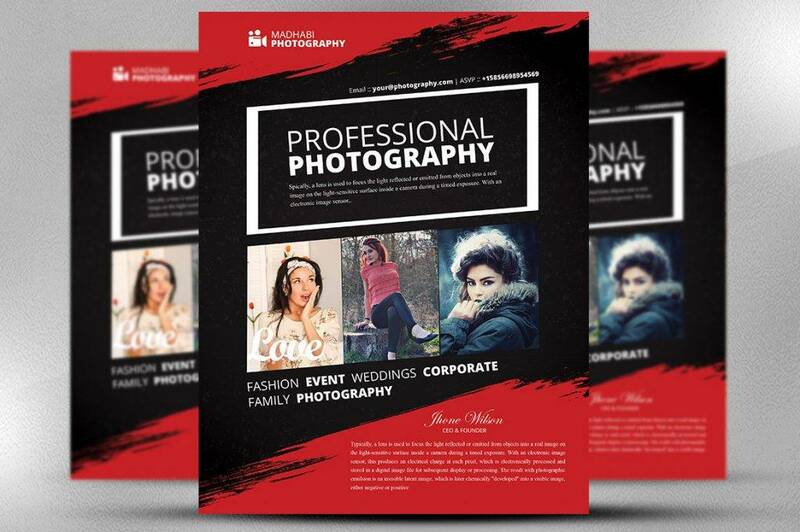 Cooler hues portray professionalism and are perfect for business and corporate flyers, which is why it’s important to pay attention to your font style, size, and color choice as well. Typography can greatly affect the readability of your text, so be sure to keep it visible from a considerable distance. Unlike poster designs, flyers can be read from a closer proximity, making it easier for you to determine the right size for your text. Experiment with design tools. There are numerous free and paid editing tools available in the market for you to use. Adobe Illustrator would be a popular choice due to its large library of effects and special features, not to mention that it produces vector designs instead of raster files. It would be best to use applications that are easy to work with, especially if you don’t have much experience with such tools just yet. It’s a gradual process of trial and errors, so learn to explore the editing software before you begin with your first draft. Print marketing can be quite intimidating at times. It’s about creating a flyer design that is both attractive and informative enough to serve its intended purpose. While the outcome remains uncertain, your chances of getting a higher response rate are likely through the help of a good flyer design. This offers you countless marketing opportunities that your business may benefit from. 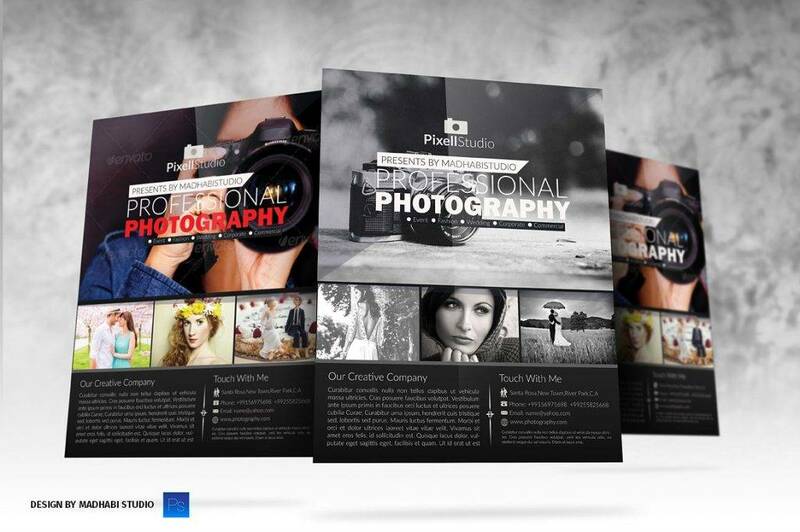 It’s safe to say that flyers are definitely the perfect promotional tool to use for any desired purpose.